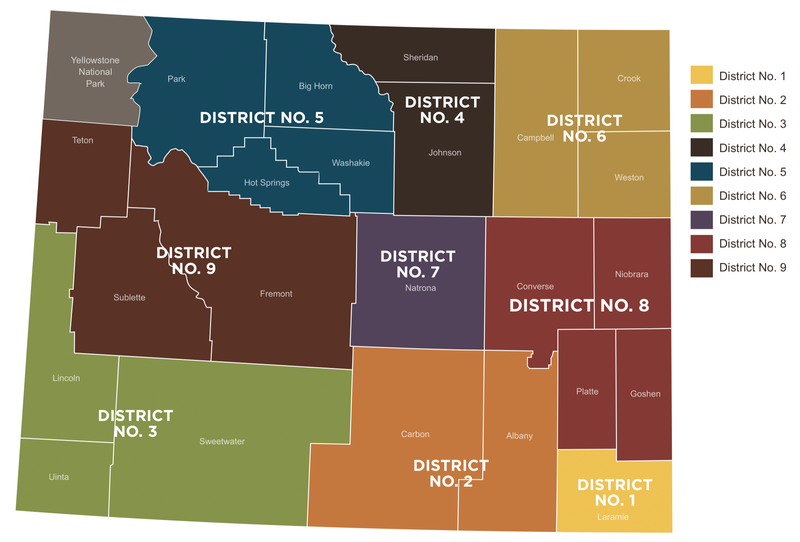 The governance structure retains a geographic element for selection as follows: one (1) Director from each of the nine (9) Wyoming Judicial Districts as designated by the State (See Map A) for a total of nine (9) Directors; and six (6) Directors selected from six (6) United States geographic regions (Northeast, Southeast, Far West (formerly named Northwest), Southwest, Colorado and the Neighboring States region, defined as Idaho, Nebraska, Montana, North & South Dakota and Utah (See Map B). In addition, the BOD will appoint one (1) Young Alumni at-large director and may appoint up to three (3) additional at-large positions. 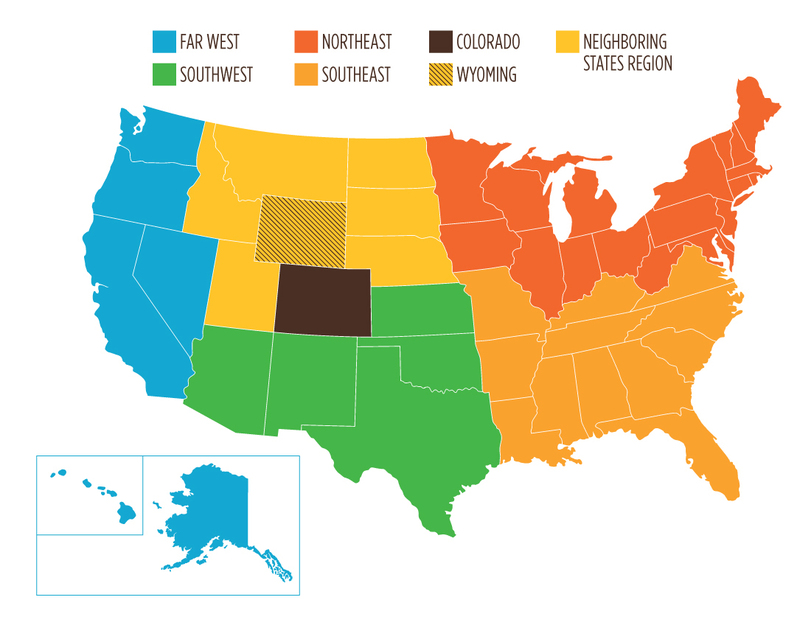 The at-large directors may be from Wyoming or out-of-state. The Young Alumni director must be thirty years of age or younger at the time of appointment. However, in no case will the number of out of state directors exceed the number of directors residing in Wyoming.